Choo-Choo!! All aboard the Green Toys express, heading for Eco-friendly territories! This sturdy locomotive is always ready for adventure! 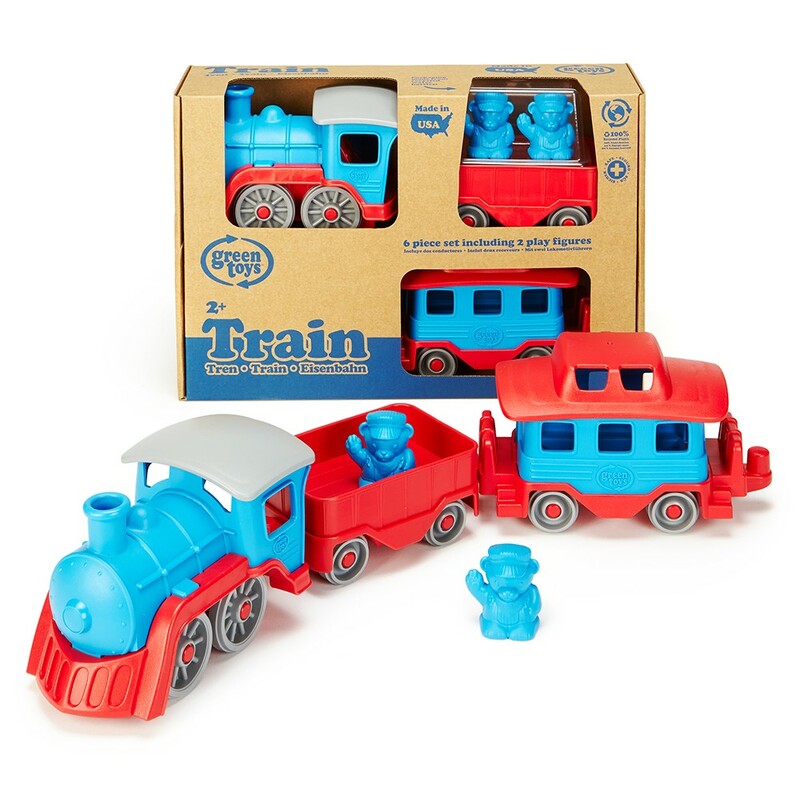 This brightly colored Red and Blue steam engine pulls along two cars that link together to form the train, or easily unhook for stand-alone play. The open wagon is perfect for hauling all sorts of sustainable cargo, and the caboose features a spacious interior and removable roof so you can see inside! 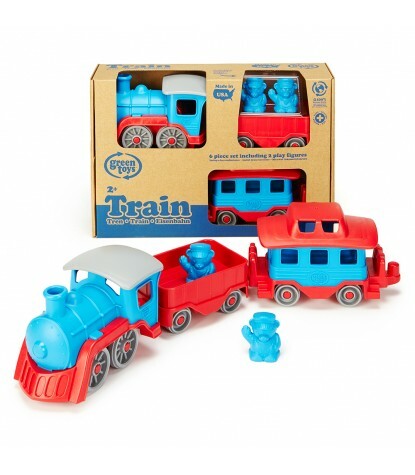 This set features two cute little bear conductors, and no metal axles or external coatings, so this train is set for both indoor and outdoor adventures. 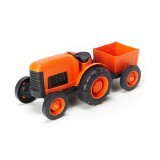 Let your little one lay the tracks for great earth-friendly adventures with Green Toys!